A gender-based analysis of the federal government’s proposed gun bill showed that women are far less likely to own guns than men. Despite this, the analysis found women are twice as likely to be threatened or assaulted with one. A gender-based analysis of the federal government's proposed gun bill showed that women are far less likely to own guns than men. Despite this, the analysis found women are twice as likely to be threatened or assaulted with one. In response to an order paper question from Conservative MP Glen Motz, the government released details of the gender-based analysis (GBA) it conducted in relation to Bill C-71, a bill that makes multiple changes to the Firearms Act. The complete analysis is subject to cabinet confidence, meaning it can’t be released publicly. The analysis found that women are far less likely than men to have firearms licenses, with women holding just slightly over 12 per cent of licenses. However, of those women, even fewer actually own registered guns. Women own fewer than four per cent of registered firearms. That list doesn't include non-restricted firearms, such as long guns. It also didn't include firearms registered by businesses and museums. However, the analysis also found that despite owning such a small percentage of firearms, women are twice as likely as men "to experience being sexually assaulted, beaten, choked or threatened with a gun or a knife." It’s a reality experts have also noticed. Irvin Waller, a victims advocate, testified before a Senate committee tasked with studying the gun bill on Feb. 19. He highlighted the risk women face from gun violence – especially Indigenous women. "It's very clear that gun violence is a serious issue for women," he told the committee. "If you look at Indigenous women, the homicide rate per capita is about four Indigenous women to one non-Indigenous woman, so there is a serious issue there that has to be included." Wendy Cukier, who is president of the Coalition for Gun Control, attended the same committee meeting. She also highlighted the gendered aspect of gun violence – especially in the context of domestic violence. "Femicide is the tip of the iceberg. Women being threatened, children being threatened, the family pets being threatened or even killed are patterns of behaviour that we see globally," Cukier told the committee. "Effective controls over firearms are an absolutely critical piece of any effort to combat gender-based violence." Men, on the other hand, were far more likely to die by suicide using a firearm. Firearm-related suicides account for 14 per cent of all suicides in Canada, and men account for 96 per cent of those. This information was all sought out in relation to Bill C-71, which proposes – among other things – more stringent bookkeeping and background checks relating to gun acquisition as well as changes to licensing requirements. Since its introduction in March 2018, the bill has been contentious. 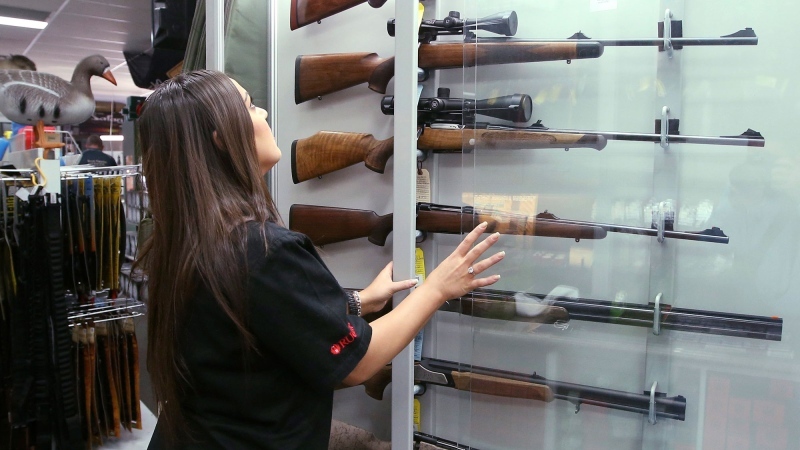 It has been slammed by gun control advocates for being too weak, while other critics say the bill is an effort to bring back the long-gun registry. The bill is currently sitting with a Senate committee after its second reading in the Senate. Motz' order paper question didn’t just seek information about the government’s gun bill. He also requested information on any GBA conducted in relation to the government's handgun ban consultations. The government's response confirmed that it did discuss "gender-based considerations" during the consultations. A summary of that consultation, according to the government, will be released in coming weeks.